Robert Heinlein called it "possibly the finest science fiction novel I have ever read." The San Francisco Chronicle declared that "as science fiction, The Mote in God's Eye is one of the most important novels ever published." 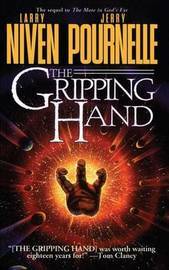 Now Larry Niven and Jerry Pournelle, award winning authors of such bestsellers as Footfall and The Legacy of Heorot, return us to the Mote, and to the universe of Kevin Renner and Horace Bury, of Rod Blaine and Sally Fowler. There, 25 years have passed since humanity quarantined the mysterious aliens known as Moties within the confines of their own solar system. They have spent a quarter century analyzing and agonizing over the deadly threat posed by the only aliens mankind has ever encountered-- a race divided into distinct biological forms, each serving a different function. Master, Mediator, Engineer. Warrior. Each supremely adapted to its task, yet doomed by millions of years of evolution to an inescapable fate. For the Moties must breed-- or die. And now the fragile wall separating them and the galaxy beyond is beginning to crumble. Larry Niven (left) is the Hugo and Nebula Award-winning author of such classics as Ringworld, The Integral Trees, and Destiny's Road. He has also collaborated with both Jerry Pournelle and Steven Barnes on The Legacy of Heorot, Beowulf's Children, and the bestselling Dream Park series. He lives in Chatsworth, California. 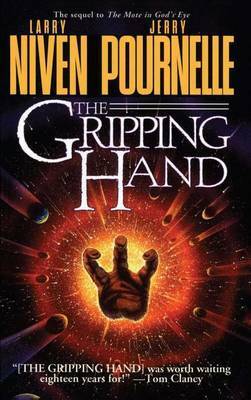 Larry Niven and Jerry Pournelle were the joint winners of the 2005 Robert A. Heinlein Award.